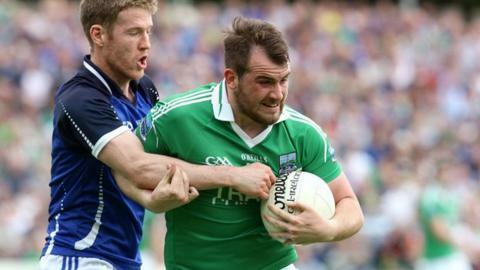 Fermanagh have received a boost ahead of their Ulster SFC clash against Antrim on 1 June after key forward Sean Quigley returned to the county squad. Quigley and his brothers Conor and Seamus pulled out of the squad in March following an apparent training ground disagreement between the latter and manager Peter McGrath. However, Sean Quigley lined out for the team against Wicklow on Thursday. Mark Murphy has also returned to the panel after returning from Australia. Quigley scored three points after coming off the bench in the second half of Thursday's challenge game while Murphy scored a goal in the encounter. Roslea man Quigley had been rated as Fermanagh's best forward in the early stages of the league before his walkout from the squad along with his two brothers. Manager McGrath had made clear that he wanted Sean and Conor Quigley to return to the squad but that there was going to be no road back for their brother Seamus following the training ground disagreement. Murphy helped Fermanagh reach the 2008 Ulster Final but he has been away from the inter-county scene since 2009.